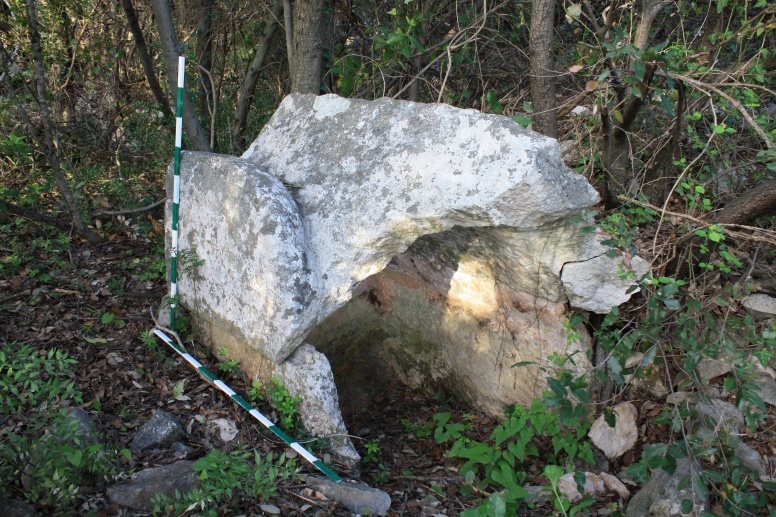 In 2012, the Institute of Archaeology carried out a field survey and imaging of the Novo Selo Bunje site. Since the forest covered a major part of the site, only the accessible architecture was examined (Fig. 1). 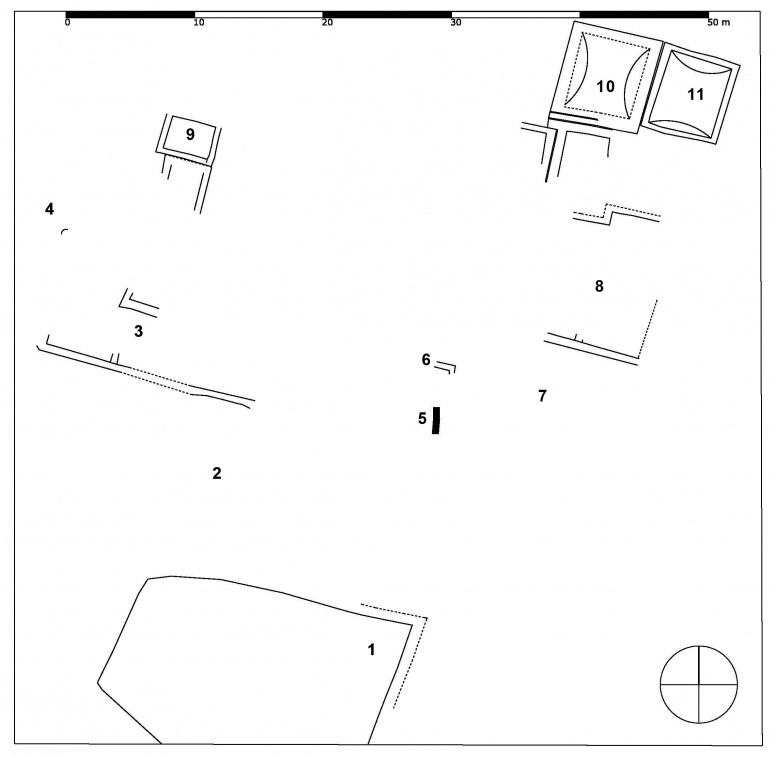 The aim was to collect and analyse the finds, to document the architecture, to determine the position of distinct groups of finds in order to collect as much data as possible to use as guidance for future archaeological research. The finds so far consist of stone pillars, mosaics, a press, burials, construction ceramics, pottery, amphorae, slag, iron tools for working stone, a late antique sarcophagus, and an unfinished sarcophagus lid. An image of the walls (Fig. 2) clearly shows the uniform orientation of walls, leading us to conclude that they were built according to a plan as a single unit. The existence of cisterns and a fenced pond speak of the size of the site. The unfinished lid of a sarcophagus (Fig. 3) and an iron wedge for crushing stone suggest that stone was worked at the site. There were abundant finds of imported goods: amphorae, kitchenware and tableware. Most of the imports came from Africa, present-day Tunisia in particular. A preliminary survey determined that the finds date from Late Hellenism/Late Republic until Late Antiquity. Among the finds, a fragment of a fresco, tesserae, ceramic beehives, lamps and a quernstone can be singled out (Fig. 4). 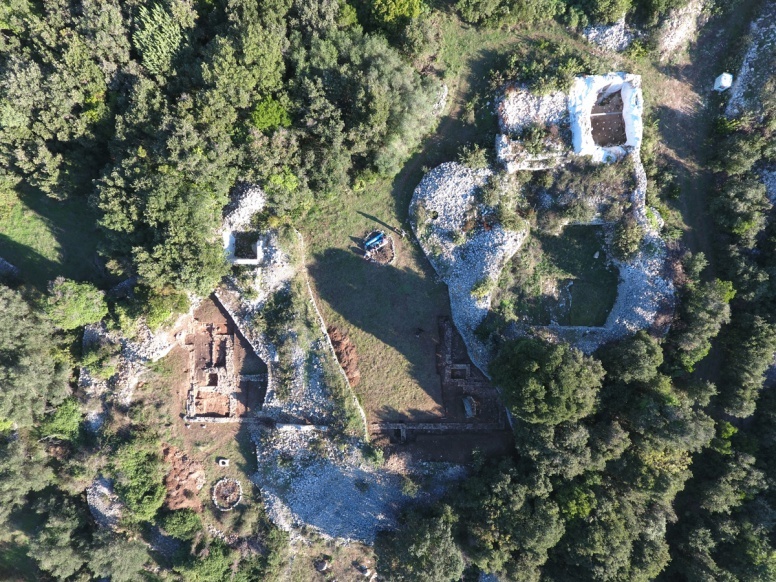 By virtue of their size and wealth of finds the Novo Selo Bunje sites are among the largest and most important archaeological sites on the island of Brač. 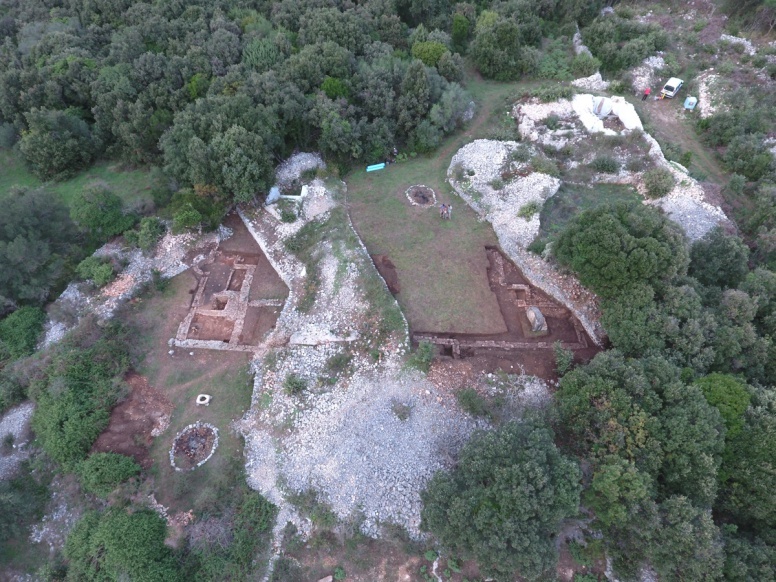 Institute of archaeology from Zagreb, CNRS Centre Camille Jullian (Aix-en-Provence) and Université Paris-Est Marne-la Vallée (Paris) with help from County of Selca organized archaeological excavations that started in 2015. 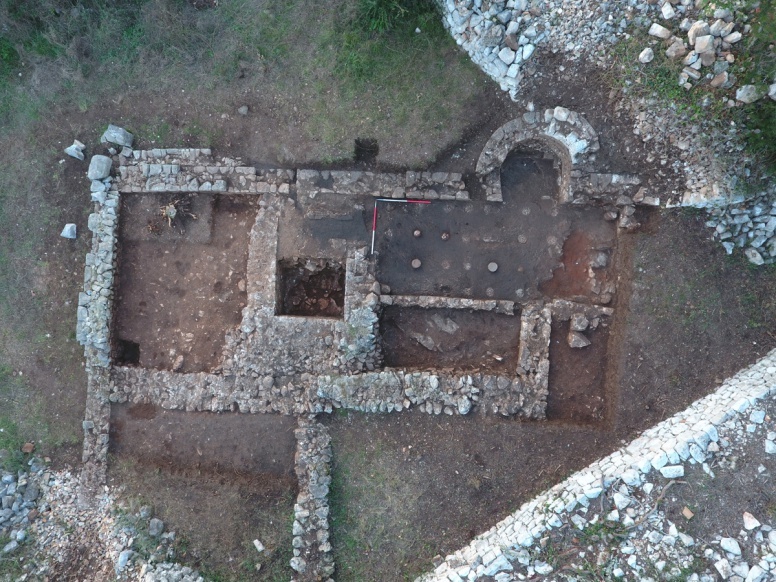 The aim of 2015 excavations was to clean the site as much as possible from the trees, to excavate big cistern and trenches near trapetum and the cistern area. 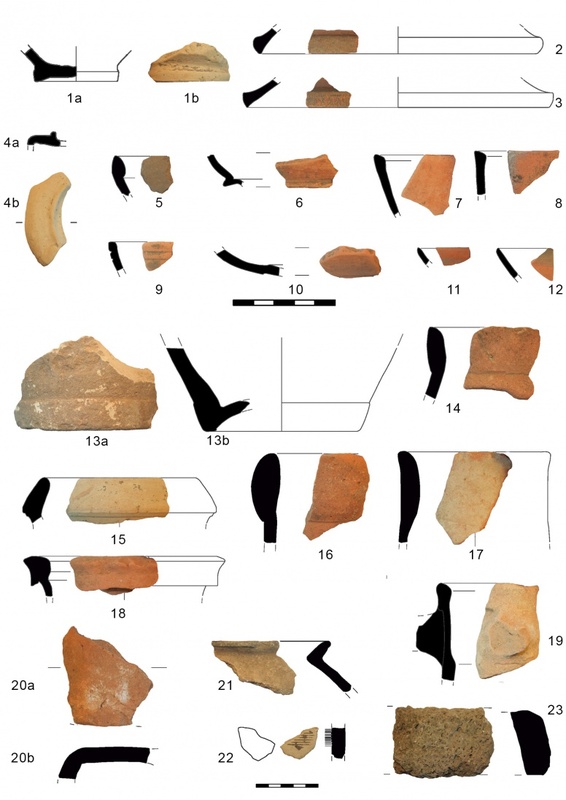 2016 excavations defined two important parts of villa, pars rustica and pars urbana which made understanding of the site more clear and easier to plan forthcoming excavations.